There are so many WordPress themes free and information on the subject on the web that can be heartbreaking. And that's understandable! This is actually the main reason why I have developed this ultimate guide to Free WordPress themes. To help you in your learning about WordPress themes, with real answers. There are an overwhelming number of free themes available to create a blog WordPress. Just search on Google. And why would not you use that kind of service? It's free, is not it? Downloading a free theme instead of a paid WordPress theme may seem like an obvious choice. But like most things that are too good to be true, the free themes are often accompanied by small surprises (I use this term to be nice). Indeed, you risk big with this gratuity and this is what we want to speak to you in this article. The goal is of course to avoid frustration, unnecessary expense and loss of time and energy. 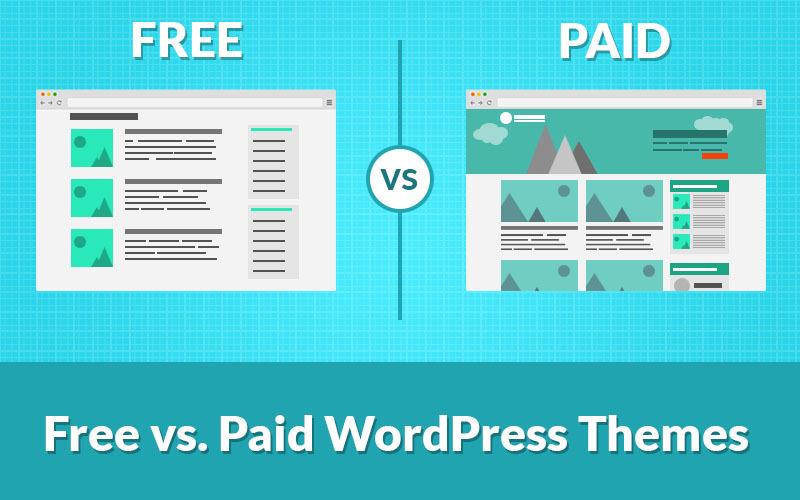 First, What is a free WordPress Themes? Free WordPress themes Some developers create free WordPress themes (visual templates for your WordPress site) to build their portfolio or just for fun. 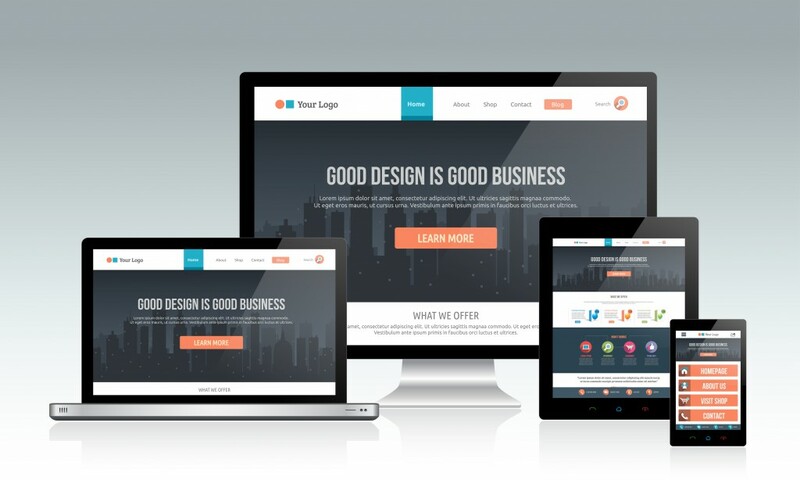 There are shops like WordPress themes ThemeForest and ElegantThemes who also design free themes to attract users to their site so that they eventually buy a premium content. Premium themes can be expensive and if you buy a theme and decide later that you no longer want it, or it does not do the job on what you need to do, it can be difficult to get a refund. There is a multitude of blogs (like ours!) That publish lists of the best WordPress themes for free. Thus, the best are very frequently chosen, presented and installed on thousands of sites. Many themes are assembled by amateurs with limited knowledge in PHP and WordPress programming, which can leave your site open to certain security flaws. In addition, a badly coded site represents a lot of frustration, limitation and extra work for you. Watch out for this. Check which developer programmed the theme first. Free themes usually offer limited functionality. The premium theme of the market is a highly competitive place - just look ThemeForest of Envato Marketplace. Themes have to offer reactive design and the dozens of customizations required to place themselves at the top of the competition. We get along, the best developers go where there is money. Final point. You thus ensure a high-quality production by paying a certain amount of money for a paid theme. WordPress is constantly updated. It is important that your theme is compatible with the latest version of the content management console. When you use a premium theme, it is the developer who is responsible for adding updates when necessary. But when you use a free theme, you can wait months before getting an update or even not seeing it at all. There are themes in the WordPress repository that have not been updated for more than two years, which is an eternity in the web! Ouch, security vulnerabilities. Free themes have the bad reputation of being sometimes a passage for malicious software, encrypted spam links, injections of links to malicious software, or anything else. Since the Google Penguin update, Google has repressed sites that contain spam-type links and encrypted links. Be careful! It is important to know what you really want to accomplish with your site. Small personal blogs or portfolio sites can sometimes take advantage of a free theme because it is a quick and inexpensive way to put a site online. On the other hand, those who need an e-commerce, if you are an agency or start a serious business, you would have a good experience with a premium theme. No doubt about the matter. The premium themes offer a lot of features worth paying for the product. The free themes simply can not compete. However, if you decide to use a free theme, it is important that you recognize the limitations of it. Unless you're a developer and you can figure it out. But even then, you'd be better off developing your own theme or even starting from a paying theme with a good programming base. Should I use a free theme or premium theme? When you start with WordPress, it makes sense to download and experiment with free themes to get an idea of how WordPress works and how to use customization modules. The Collection of WordPress themes is really the biggest collection of free themes available online. At the last count, there were 3000 themes in the repository. The repository has a search engine, allowing you to search for themes based on keywords. So if for the holidays you are looking for a pink theme with a sidebar on the right, a fixed layout, and an illustrated header, you will probably find shoes at your feet. If you're not 100% certain that the code is clean, it's a good idea to scan new themes to make sure they do not contain malicious code. There have been some plugins to help you in this search and these are all free. The Theme Authenticity Checker plugin allows you to quickly check if your site contains malicious code. Tac looks for source files for each theme installed in your WordPress and looks for any sign of viruses. It is easy to use. Simply install it and activate the plugin. A new menu item will appear in your left menu under the name of TAC. If a malicious code is found, the plugin will show the path to the theme file, point you to the line number, and show you an overview of the code involved. Wow! You are the only one to know your needs for your website. All these questions you should keep in your mind while selecting your theme. Do you need a slider? From a portfolio? Does your site need to be adaptive? A good free theme could meet your present and future needs. Is the theme easy to customize? Whether you are a coding pro or a beginner with WordPress, it is important to keep in mind how much you want to customize the visual of your website. Is there support available for the theme?